Triple threat battle as zombies and B.O.W?s add to the action. Risk infection from the hordes of zombies, zombie dogs and lickers. Fight to survive with anti-viral sprays, your character?s special skills or help from field scientist Bertha before your character?s condition worsens, turning you into a violent zombie who will attack your own team members. 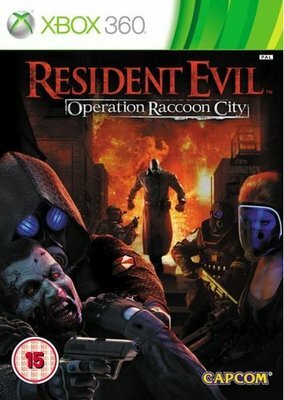 Rewrite the history of the Raccoon City outbreak. Destroy all evidence of Umbrella?s involvement at the City Hall and discover UBCS operative Nicholai Ginovaef?s true intentions. Competitive online multiplayer modes provide a unique gaming experience thanks to the three corner combat between the Umbrella Security Service, US Special Ops and threat of zombies and B.O.W?s.